NutriBiotic Calcium Magnesium 100 caps. ProZone, Vanilla Bean 22.5 oz. NutriBiotic Calcium Magnesium Capsules are comprised of calcium and magnesium aminoates. Calcium and magnesium aminoates are created from their naturally occurring compounds, calcium carbonate and magnesium carbonate. The carbonate is removed and the calcium magnesium is bound with citric acid and aspartic acid. This dual citrate-aspartate complex is then bound with predigested rice protein. 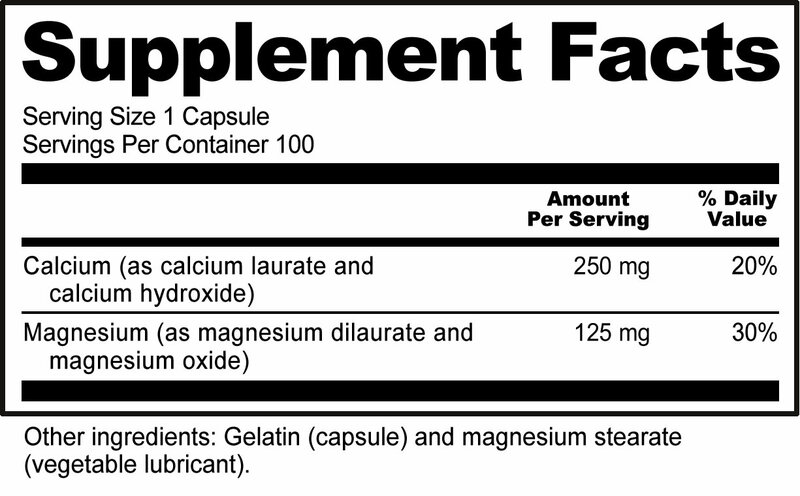 Calcium aminoate, magnesium aminoate, gelatin (capsule), and magnesium stearate (vegetable lubricant). Made without milk, soy, egg, yeast, corn, and wheat. Contains no fillers, binders, starch, colorings, flavorings, or preservatives. As a dietary supplement, take one capsule daily with or without food, or as directed by a licensed healthcare professional.